Founder of Tanasbourne Plastic Surgery. 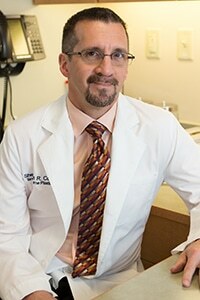 Dr. Sheldon Cober is the founder of Tanasbourne Plastic Surgery. He is a native of Ohio, having spent most of his formative years there. His first exposure to plastic surgery was as a patient, having been born with a cleft lip and palate. Having experienced first-hand the life-changing benefits of plastic and reconstructive surgery, this inspired him to follow his goal of being able to provide these same benefits to others. After graduating from high school and college at the top of his class, he then attended medical school at Temple University in Philadelphia. Upon graduation, general surgery residency took him to the University of Southern California in Los Angeles for five action packed years of hands on training. Much of this time was spent at LA County/USC Medical Center, well known as one of the highest volume trauma centers in the US, which served to hone his surgical skills through both the volume and diversity of patients. Dr. Cober graduated from his general surgery residency, and although he had decided to specialize in plastic surgery, he took the additional steps necessary to become board-certified in general surgery. He then travelled to Boston and completed a 2 year research fellowship in the Plastic Surgery Laboratory of Massachusetts General Hospital affiliated with Harvard Medical School. His research was focused on the immunology of composite tissue transplantation, and his mentor was Dr. Andrew Lee. As a result, he has published numerous articles in respected peer-reviewed journals, has given presentations at national plastic surgery and transplantation forums, and has been awarded competitive grants and prizes for distinguished research. This research was a part of the body of work that has now allowed Dr. Lee to become one of the pre-eminent hand transplant surgeons in the world. Upon completing his research fellowship, Dr. Sheldon Cober came back to Los Angeles and USC, completing a residency in plastic and reconstructive surgery. He received extensive training in cosmetic and reconstructive techniques from many well known LA area experts. Finally, Dr. Cober rounded out his 10 years of post-medical school training by completing a fellowship in hand and microvascular surgery at the University of Washington including Harborview Medical Center and the University of Washington Medical Center. This was done through the auspices of the Orthopedic department, which nicely complemented his previous hand surgery training with the plastic surgery program in LA. While training in the Pacific Northwest, he fell in love with the region and decided to settle in that area. Dr. Cober set up his practice in Portland, Oregon in 2000 and has been busy with a burgeoning load of patient needs ever since. He did complete the written and oral board rigorous examination process required by the American Board of Plastic Surgery within his first year of practice. He is a member of numerous local and national societies within his discipline and has become a Fellow in the American College of Surgeons. He has been honored to serve as the plastic surgery division chief for Providence St. Vincent’s Hospital in NW Portland. Dr. Cober would like to welcome you as a patient to Tanasbourne Plastic Surgery. He and all health care providers of this practice strive to provide the highest quality care to each of our patients and hope that you feel the same care as if you are a member of our extended family.